For the avid fans of Stephen King (and there are many), Cemetery Dance Publications has started publishing beautiful editions of what’s known as the “Early Doubleday Years” of King’s fiction. The books include Carrie, Salem’s Lot, The Shining, Night Shift, The Stand, and Pet Sematary. Though Carrie was King’s first published novel, I didn’t read it till five or six books later. I just had no interest in reading about a young girl in high school achieving her menstrual cycle, being bombarded by sanitary napkins in the girl’s locker room, going to the school prom and wrecking havoc on all those who had harassed her throughout the years by burning down the school with her psychic powers and then killing her overly-religious mother. Of course, I saw the movie when it came way back then with Sissy Spacek, but the novel simply didn’t interest me. It’s was Salem’s Lot, which captured my undivided attention with Mr. King. The book had just come out in paperback and like many “Constant Readers”, I read it in one night and then picked up the hardcover edition of The Shining the very next day. To say that I was now addicted to the writing of Stephen King was an understatement. Still, it took a few years before I finally sat down with Carrie and read it. The book is one of his short novels. If I remember correctly the original paperback ran about 189 pages in length, and I read that in one night as well. When it was announced last year that Richard Chizmar had worked out a deal with Mr. King to publish his earlier works, I instinctively knew I’d be buying all six book in this collection. That way I would have a matching set. It didn’t matter that I’d already purchased a Gift Edition of The Shining from Subterranean Press, or that Carrie hadn’t really grabbed me that much. Well, I’m glad I purchased Carrie because it is one beautiful book. I’m lucky that I have a regular hardcover edition to read. I’m actually afraid to open the Gift Edition for fear of lowering its future value, not that it will ever go up that much. It will probably double in price and possibly even triple, but unless it has King’s autograph in it, the price will always remain with reach of those who enjoy collecting and have a small budget to work with. The slipcase looks like simulated black leather with the title of the book and King’s name stamped in gold-colored lettering on the front. The novel itself has a lovely wrap-around dust jacket of Carrie standing on stage and setting fire to the auditorium that’s done in black, orange and yellow colors. The paper inside the book is expensive looking and thick to the touch. The font is easy on the eyes with the borders on both sides wider than in a normal hardcover. Finally, the several interior illustrations by Tomislave Tukulin are brilliantly drawn and placed so that they add to the storyline. Then, of course, there is the Introduction by King and an Afterword by the author’s wife, Tabitha. Both of these pieces explain how precarious the financial situation was for the Kings when Carrie was sold to Signet in paperback format. They were trying to raise two children on eight thousand a year, with side jobs to help make ends meets. If Stephen King hadn’t followed his wife’s advice and continued with the story, it’s possible he might have quit working on novels for a while and concentrated instead on short stories. He was selling those on a regular basis, but not his longer works of fiction. Carrie literally changed their lives and the course of horror fiction. Thank God for Tabitha and for believing in her husband’s talent. 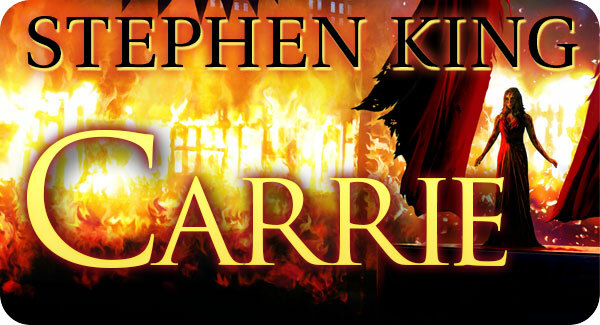 Anyway, if you’re a true collector of King’s fiction, but have limited funds to spend, consider buying the Gift Edition of Carrie. The edition of Salem’s Lot is now available and ready to be purchased in advance of its publication.